38. 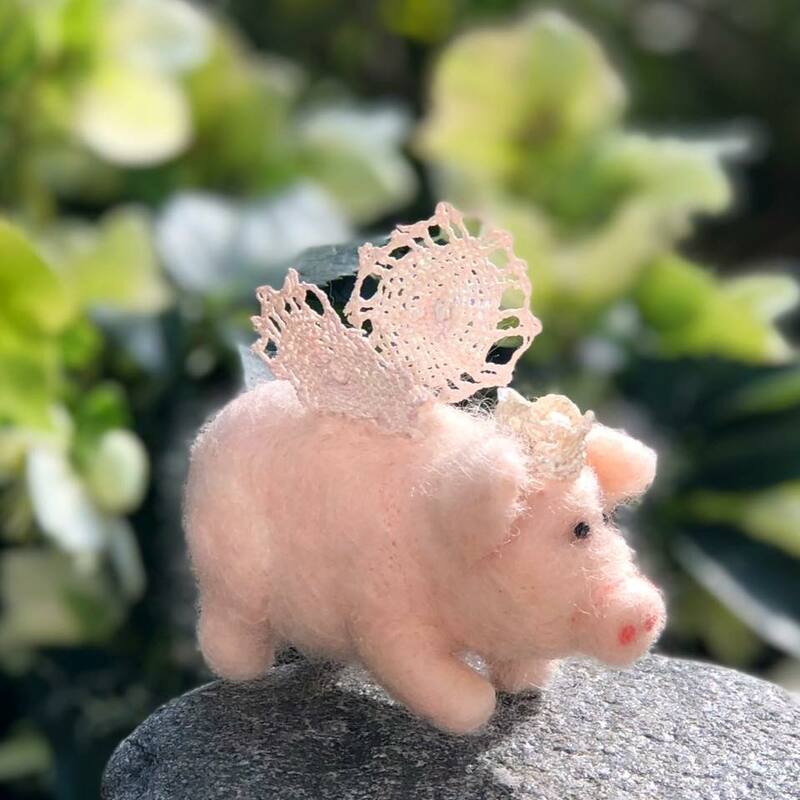 Hamble the Pig Fairy! Oh she’s too adorable! Check out her sparkly wings and crown  We can’t cope with how cute she is! More decoration than toy, she is beautifully hand felted and approx 10cm long. We can't cope with how cute she is! More decoration than toy, she is beautifully hand felted and approx 10cm long. Spring Auction. Number 26. Easter egg wreath complete with bunny and daffs!